With this package, you can join 8 beginners and intermediates classes (60 min of tuition each). 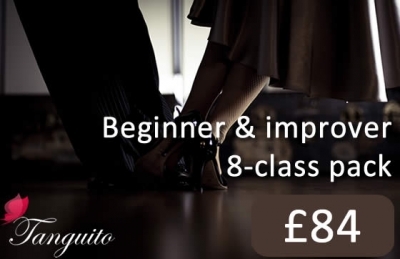 After the class, you'll have full access to our practica / milonga and can enjoy up to 3 hours of social dancing, so that you can practice the moves you've just learned. Note: This package is not valid for intermediate classes.